Dogs have long been considered man’s best friends for generations. Their loving and loyal demeanor has proven that they can act as more than just a friend or beloved family member. Historically, there are certain breeds that have been serving as rescue dogs throughout the years alongside their human companion. With their human-like characteristics and natural canine instincts, these breeds have become ideal life savers when disaster or tragedy strikes. 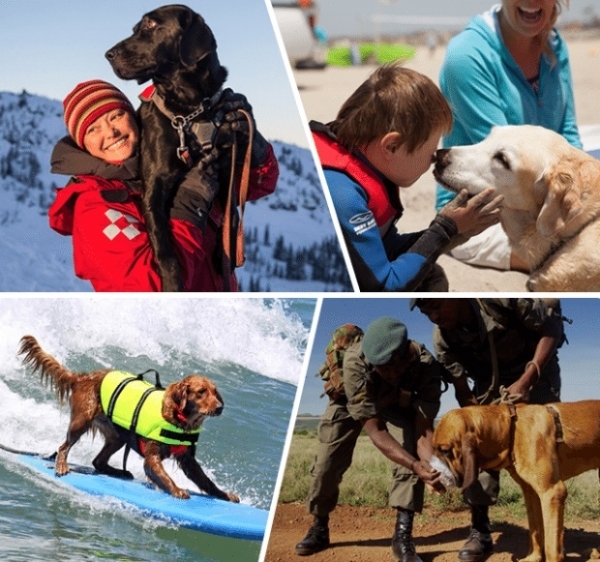 Here are the breeds whose heroic hearts and instincts help save lives and keep us safe. The Dalmatian breed is synonymous with firemen and fire rescue. In the present day, we don’t often see Dalmatians on fire calls or on a fire truck unless it’s for a parade or at events related to fun. In the past, Dalmatians served as the guide in getting the horse drawn carriages and the firemen to their emergency calls. 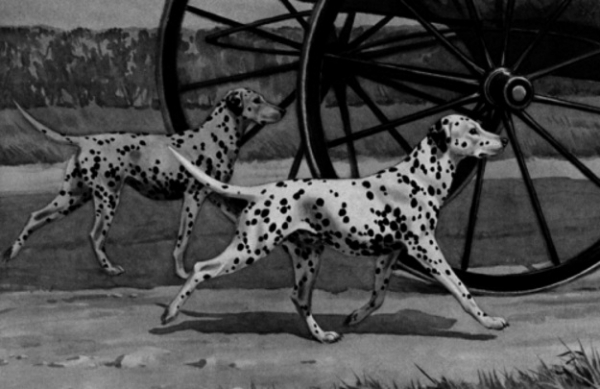 Due to their agility and speed, Dalmatians could easily keep up with the horses and would clear the paths for the fire carriages so they could get to a fire quickly. In the present day, the Dalmatian is more of a mascot for firehouses, but their nobility and speed is still as remarkable as it was years ago in helping those in need. A dog that looks like a bear, Newfoundlands have hearts as big as their stature. Their courageous personality is only matched by their fearlessness. 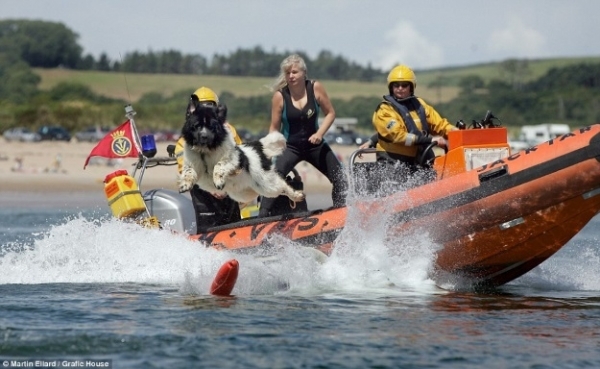 The Newfoundland breed is now being utilized in assisting organizations, like the Coastguard, in rescuing those stranded out to sea. With their strong build and natural instinct to help humans, Newfoundlands have the ability to swim and safely grab those in trouble. Their combination of high intelligence and great swimming technique makes this breed a natural lifeguard on the high seas. A dog that isn’t afraid of battle, the Belgian Malinios is a breed that fights alongside the exclusive U.S. Navy Seal members. 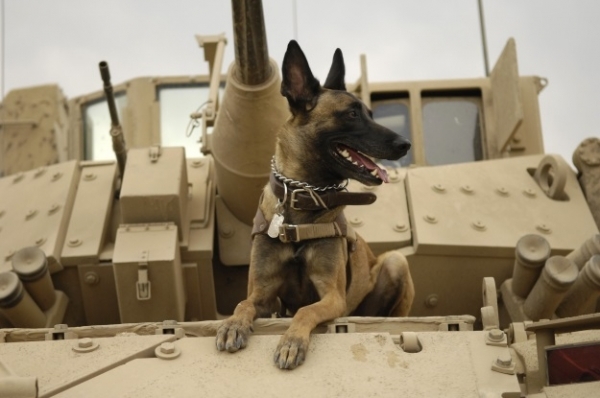 It’s smaller sized frame and fierce dedication makes the Belgian Malinois the ideal warrior for military personnel and rescue missions. Originally bred as a herding dog, the Belgian Malinois was brought over to the United States after WWI when soldiers were returning home. This breed quickly became popular, and their call to duty and obedience have made them a strong soldier among military units. A dog breed this is considered a ‘workaholic’, this dog is the happiest when it has a mission in life to complete. With their undeniable intelligence and top-notch obedience, Border Collies make excellent companions and service dogs. 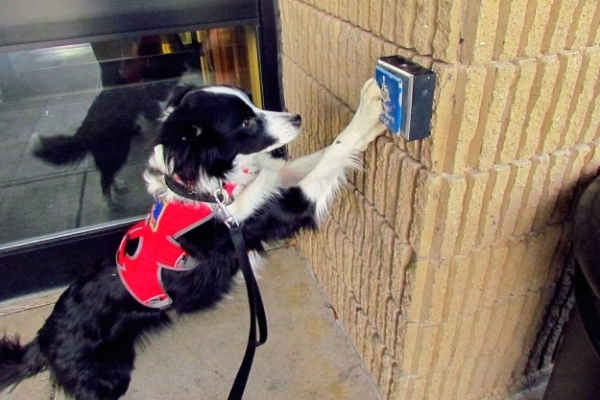 Border Collies has also proven to be stellar therapy dogs that bring great comfort to individuals with disabilities. Their calm awareness and desire to please is what makes this breed a true pal to have at your side.